The Isle of Capri Hotel and Casino is located on the Missouri River, Boonville, Missouri. The Isle of Capri was acquired and by Davis Gaming Company in 1999. The casino territory, formerly deserted 30 acres on the Missouri served for residential, industrial and commercial use for many years. Davis Company planned to build the casino, but their development failed. The Isle of Capri was owned in March 2000 by Isle of Capri Casinos. By the time the company decided to build a casino they revealed very dangerous chemical substances in soil. Thus, 4250 tons of polluted soil was removed by the company. The previous mentioned activity of the company facilitated the improvement of local environment. Rupe's Creek and the Missouri River were cleaned. $75,000,000 has been invested by The Isle of Capri in new fabulous riverboat casino and 614 working places for inhabitants were created. Today you can admire the 72,000 sq ft of The Isle of Capri Casino that include 3 restaurants, fabulous casino floor (28,000 sq ft), etc. 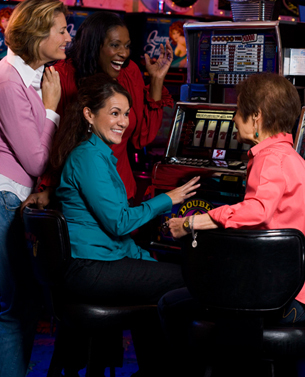 This casino features 900 gaming machines and 28 game tables. When in 2005 The Isle of Capri have realized their success among gamblers they began a building of adjacent hotel. By that time casino revenues were really great and the taxes paid by the company to the city were one third of annual budget of city.